Do you remember what were you doing when you were 8-10 years of age? Most likely, playing in the park, going to school, having fun with friends, being spoilt by your dad, right? Well, Hardik is different. 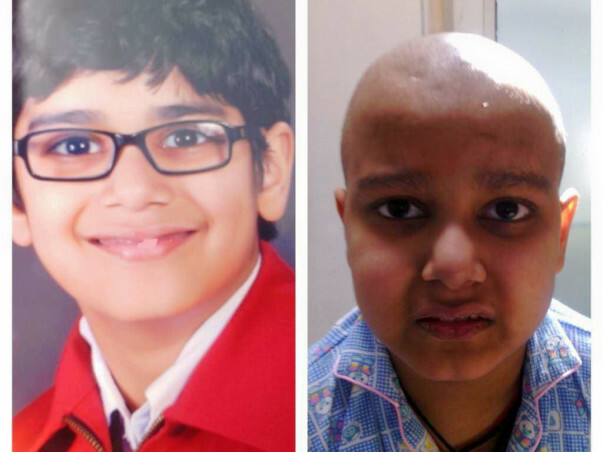 Hardik has spent the last 1.5 years going through Chemotherapy sessions, lumbar punctures, fighting through infections, staying at hospitals longer than at home. 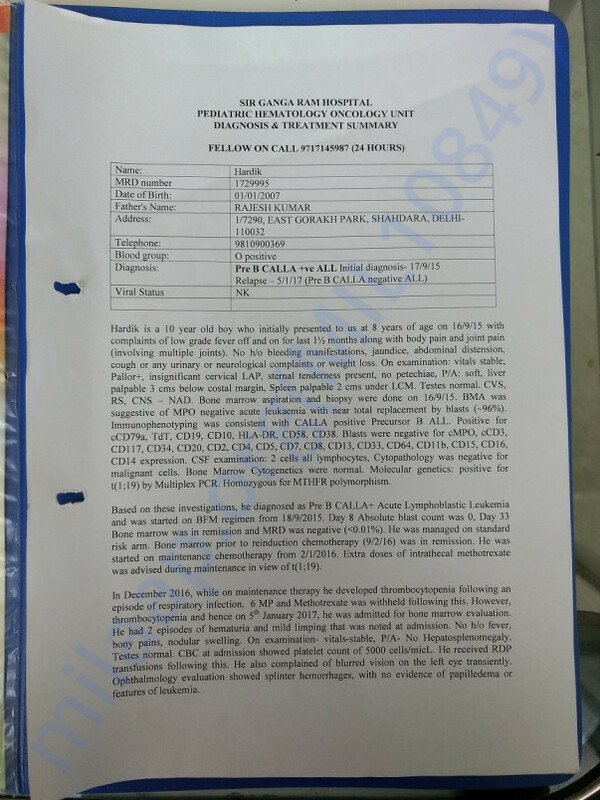 He is currently undergoing treatment at Medanta Medicity, Gurgaon. Hardk was diagnosed with Acute Lymphoblastic Leukemia (ALL) in the month of September 2015 when he was barely 8 years old and he has been fighting the same ever since. He was started with chemotherapies and lumbar puncture sessions at Sir Ganga Ram Hospital immediately. He was fighting with his blood cancer for the past 1.5 years but unfortunately the dreaded disease came back (relapsed) in the month of January 2017 and Hardik found himself standing at the same place where he was in September 2015, but this time chemotherapies are not only the hope for saving him, he has to undergo strong chemotherapies, lumbar puctures and after that a bone marrow transplant. 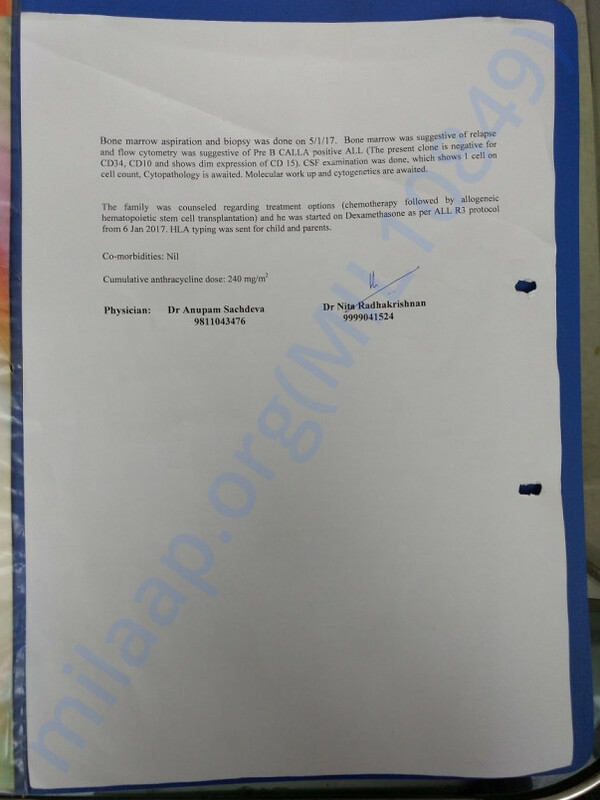 Hardik belongs to a normal middle class family and his parents have already spent approximately Rs 40 Lacs on his treatment over the past 1.5 years. However, this time they need approximately Rs 50 lacs for the Bone Marrow Transplant. They have already exhausted all of their savings, have already undertaken multiple loans from friends and family and now YOU are their only hope to save our hardik. Diagnosis and Treatment summary is uploaded in the supporting documents. You can save our hardik by clicking on Donate now button on Milaap.org website. Dear Angels Thanks for your valuable contribution towards Hardik's Bone marrow transplant. Unfortunately the Bone Marrow Transplant has not been successful in eliminating Leukemia(Blood Cancer) of Hardik and his disease relapsed. The child has suffered a lot Since 2015 with strong Chemotherapies, Lumbar punctures, fighting with infections and Bone Marrow Transplant and now he has to stand again for a new genetic treatment. We are launching a campaign for Hardik's Gene Therapy. We Unfortunate and broken parents request you to please help us in fighting with the dreaded disease of our only child and give him a new life. 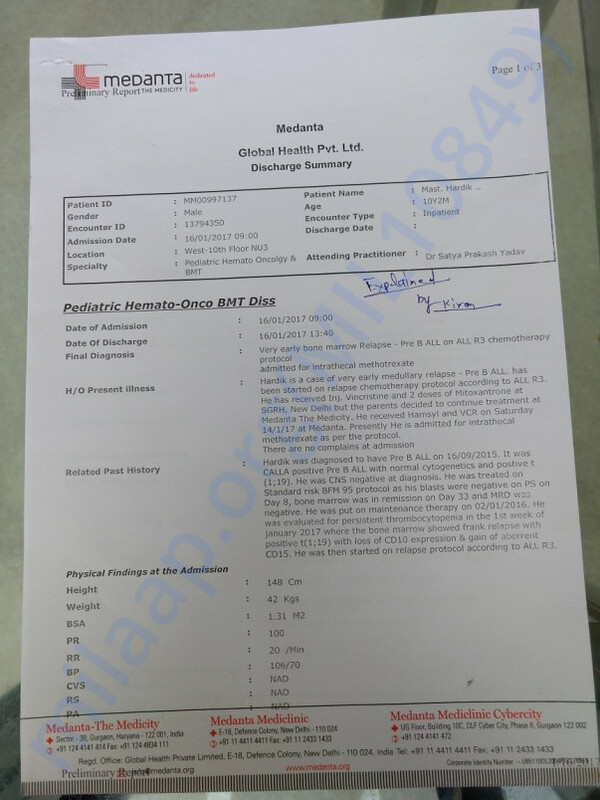 Hardik has been going through the last block of chemotherapy and he is very close to the transplant however we are short of funds as the expenditure is high. Once again appealing to the kind souls to contribute a small amount so that Hardik gets enough support to successfully go through the transplant. The family is in deep debt as chemotherapy sessions are also consuming money. Kindly help to make it. We are thankful to the kind souls who have contributed towards Hardik's campaign. 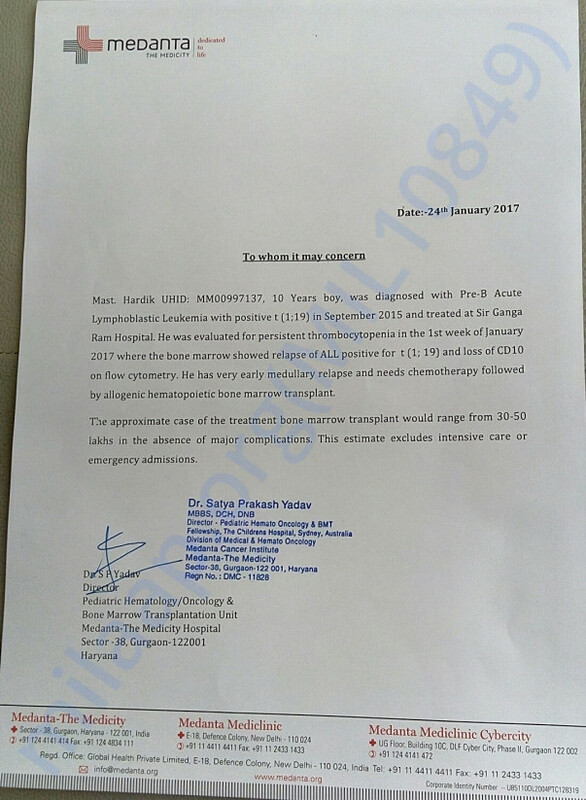 Hardik needs more contributions to achieve the desired goal so that he gets the Bone marrow transplant done. We again request the kind souls to help Hardik, even if every contributor donates once again, a small contribution, that will help Hardik to undergo the Bone Marrow Transplant soon. Oops! Missed by a dollar! Rock on Champ! Get well soon Hardik ! Tough kid. Hang on champ!